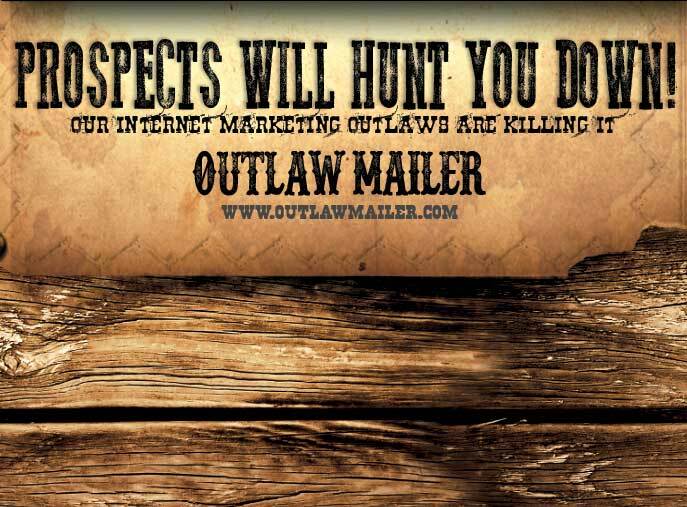 Outlaw Mailer has just about everything an Internet Marketer could need in a Viral Safelist Mailer. 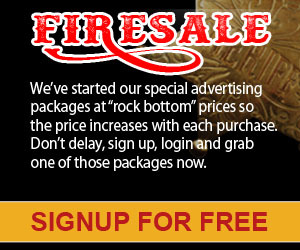 Earn up to 50% Commissions! 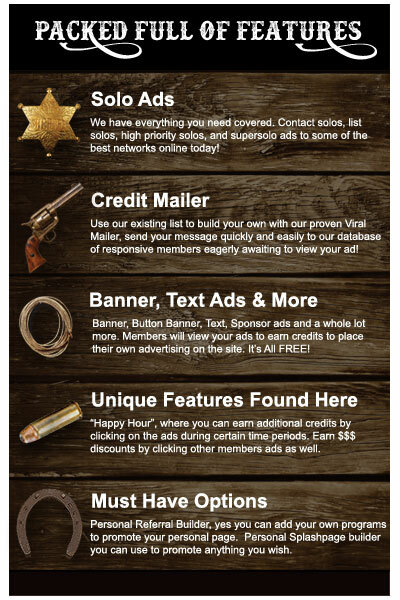 Outlaw Mailer runs off of credits - you must have credits to post your ad to our list. 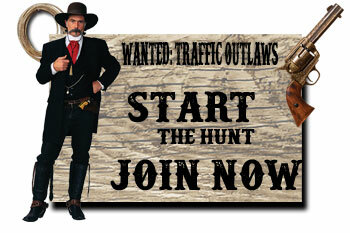 And the best way to get tons of free Outlaw Mailer credits is to read the emails from other members. It's a win-win situation: you get your ad read by thousands of other members, and those other members earn free credits for reading it!. Credit(Point) Based Mailer: With the credit based mailer you can email your ads to the safelist up to 2 times a day as long as you have credits left. One credit = one person you can mail to. 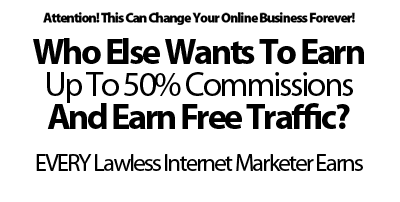 Earn credits for reading mail and for referring others. You can choose the amount of credits you use. This is a really good feature because it allows you to save your credits and use them whenever you want to. 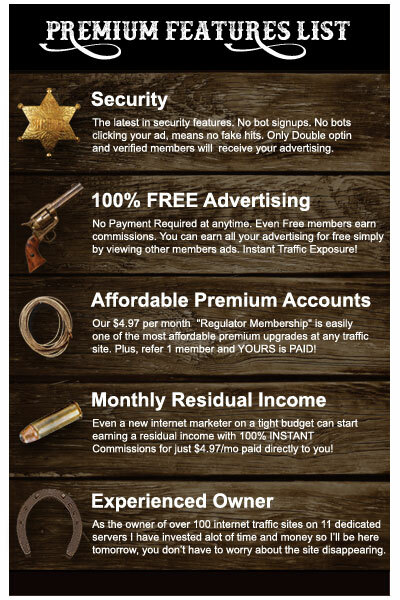 Our affiliate program is an amazing way to earn money for referring other members to our safelist. OVER 250 Traffic Sites In Our FREE Referral Builder! There will be NO Lynching TODAY!